Have you lost critical business information, personal pictures or memories due to a hard drive crash or other circumstance? In most cases if you have not planned ahead with back ups, your data can still be recovered. If your computer is unable to startup, has blue screened, is making noises or clicking these can be signs of hard drive failure. Turn off your computer immediately to eliminate further damage and ensure a greater likelihood of successful recovery. Do not turn your computer on again until you have taken the hard drive in for diagnostics. 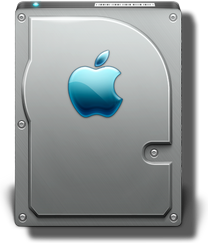 We provide hard drive data recovery services for all brands and operating systems. You may be wondering, “What if I don't get my data back?“. We understand your concern, and would like to inform you of our 90% successful recovery rate. If your situation does fall under the 90%, rest assured of our no data, no charge policy. This means that if we cannot get any data back, you don't pay a cent. Typically this service takes 2 business days, but can be rushed in emergency situations. Please call us at 519-653-5422 for an emergency quote.